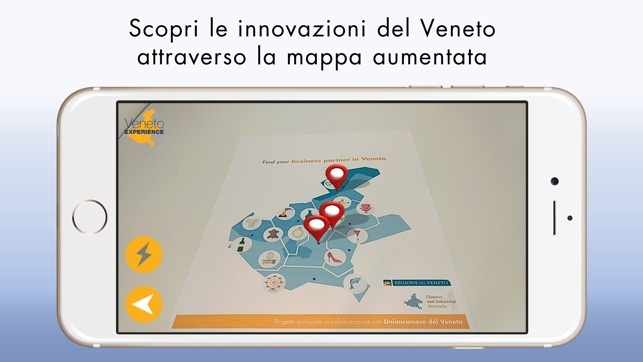 If you are interested in getting to know the products of excellence and the history behind the territory of Veneto, using one of the most advanced ICT technologies, this is the App for you. 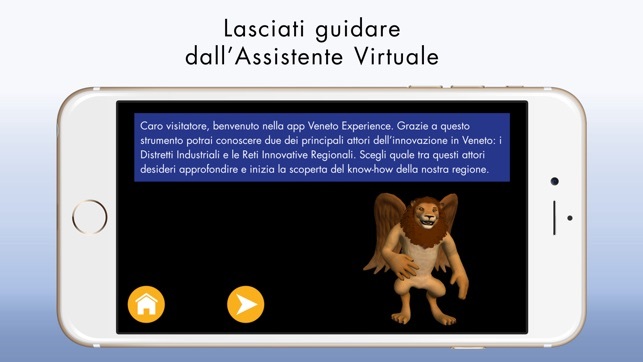 A wonderful winged lion, icon of Venice, will get you through the most attractive and undisclosed beauties that Veneto Region offers. 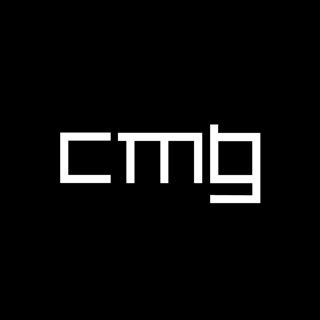 The winged lion will help you in choosing the most suitable journey according to your needs and expectations. 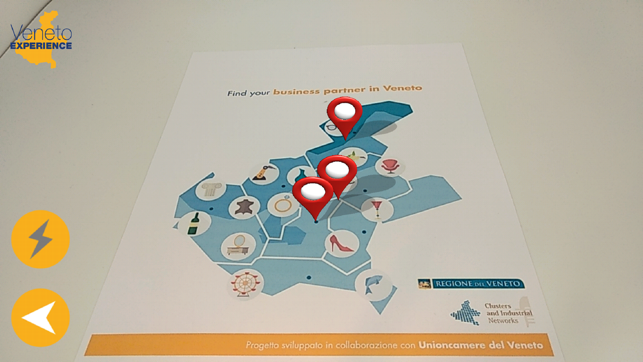 A huge catalogue of interest will allow you to live your own personal EXPERIENCE in Veneto Region. You can choose between a number of categories: agrifood, creative industries, furniture and manufacturing. 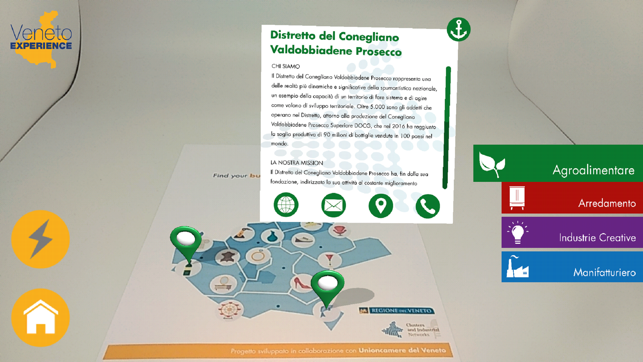 Download Veneto Experience App for your Android or iOS device, scan the elements and enjoy your tour. 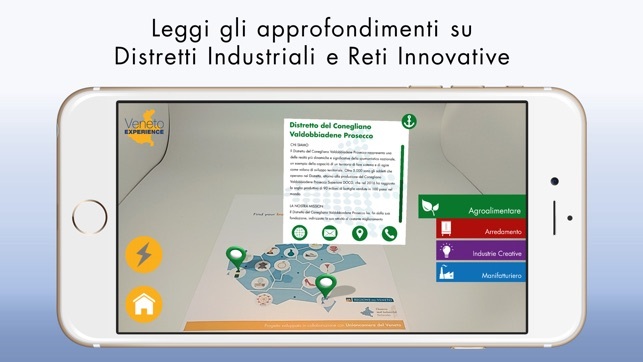 Make your choice in augmented reality and bring home a piece of Veneto!